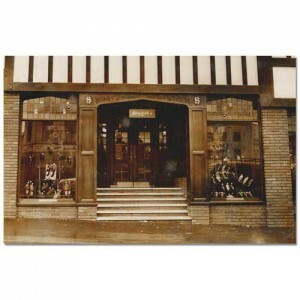 This photograph shows the shop front of Sidney Heath, the department store in Caer Street, Swansea in the early 1950s. The building was later to house the store – Treasure, and is currently home to the Yates Wine Lodge opposite Castle Square. 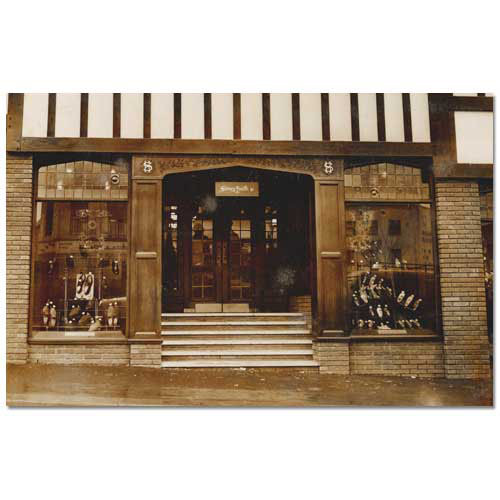 This is one of a group of photographs taken by the Swansea photographer, Powell for the Swansea shop fitting and joinery firm of Percy Symmons and Sons, presumably as a record of their work.